Today, January 31st, Aunt Kathleen celebrated her 90th birthday with a party given by her children in Lebanon. My mother Lucille (87 shown below with Kathleen) and my brother attended and enjoyed meeting family and friends. Lucille is the daughter of Altha R. Brooks (Davis), half sister of Kathleen. Time seems to have a way of going on forever with this family and many others of this era. My grandmother Altha died in 1980 at the age of 96, and her baby sister is celebrating her 90th in 2009. What a span of time! January 28, 1919 – Lora Kathleen Brooks (Dye) was the youngest of eight children born to Wm M. “Bill” Brooks and Orpha Narcissus Jessee in Russell County, VA.
Elijah Beauregard Sutherland married Winnie Kiser. 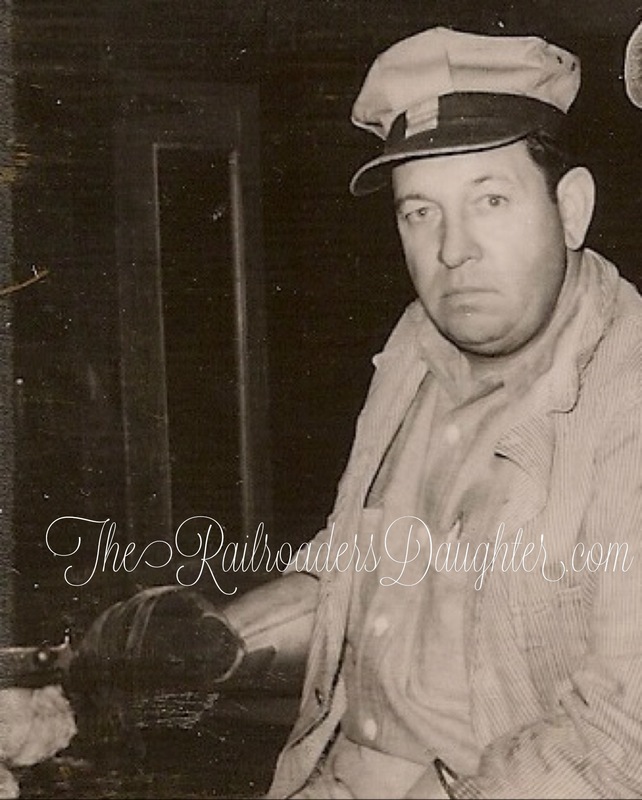 He was one of ten children born to Elijah Sutherland and Mary Polly Childers. Winnie was the youngest of 12 children born to James S. “Bell Clapper” Kiser and Susan Sutherland. Martha Artrip, my 2nd cousin, three times removed, married Johnson Rasnick. Martha was one of ten children born to Wm. Artrip and Mary Sutherland. Clyde Edison Jessee married Mona Edith Davis in Bristol, TN. 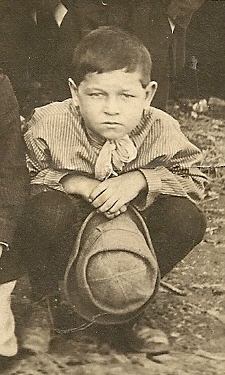 Clyde was one of five children born to William Albert Jessee and Bertha S. Buchanan. James Laforce, Jr. was born to James Laforce, Sr. and Dicie Kiser in Russell County, VA. James was one of thirteen children. Esther Lobelia Brooks was one of seven children born to Joseph B. Brooks and Alverda “Verta” Kiser in Russell County, VA. Esther married Ben Hill. Annie Ardelia Hawley (Tabor) was born to James Hawley and Martha Ann Tabor. Annie, my 2nd cousin, twice removed, married James Brittan Tabor and they had at least one child, Mingle Lafayette Tabor. They are both buried at the Tabor Cemetery, Mudfork VA.
My 2nd great granduncle, Joseph Brooks married Catherine Christmus. Joseph was one of ten children born to Constantanople Brooks of North Carolina and Rutha Daily. George was one of five children born to Stanford Lea and Sarah “Sallie” (Fuller) Jessee in Russell County, VA.
Thomas Ulysses LaForce, my 2nd cousin, twice removed, was one of twelve children born to John Letcher LaForce and Rebecca Sutherland. Jasper Sutherland married Lousia Dyer. Jasper was one of 14 children born to William Sutherland (brother to my g-g grandfather Daniel Sutherland) and Sylvia Counts. Perry Sherman Wallace, Sr. was one of nine children born in Russell County, VA to Morgan T. Wallace and Manerva Josephine Davis (my grandfather Asa’s sister) . Houston J. Kiser married Olpha Wolfe. Houston, my 2nd cousin, twice removed was the sixth of ten children born to Lilburn Hendricks Kiser and Frances Sutherland. Jerry Elmer Brooks, h/o Gladys ? ?, was born one of 16 children born to Henry Gracen Brooks and Myrtle Rose Minnick. Benjamin was the s/o of John Jeremiah Brooks and the father of Henry Gracen Brooks. Led by his parents, the family moved from North Carolina to Copper Ridge in Russell County, VA, a very long and rugged travel during those days of the Civil War. Benjamin was born in 1864 and died in Wilder in February 13, 1938. Julia A. Mitchell married James Moore in McMinn County, TN. Julia was one of four known children born to Clarinda Julia Dougherty and William Mitchell of Tazewell County, VA. The name Erastus Granger was repeated often in the Davidson family. My great grandfather was named Erastus Granger, but was the son of Samuel P. Davidson. Samuel P’s brother was also named Erastus Granger Davidson, the great grandfather of EGD above. Are you confused yet? This name repetition makes genealogy research somewhat difficult, but remains a wonderful way to honor a beloved family member. According to Wikipedia, namesake was first recorded in 1646 to mean “person named for the sake of someone”, the reference to something being a namesake imports a connection between the two that extends beyond sharing similarly looking names.